Winter is the magical season and it all starts with Saint Nicholas Day. 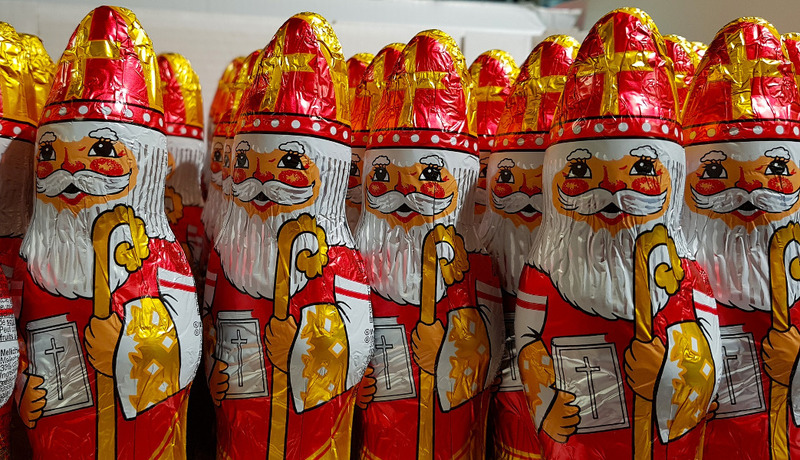 Here’s your Saint Nicholas Day guide with everything you need to know about St Nicholas Day: origin, traditions, gifts, feast, name day, and more. 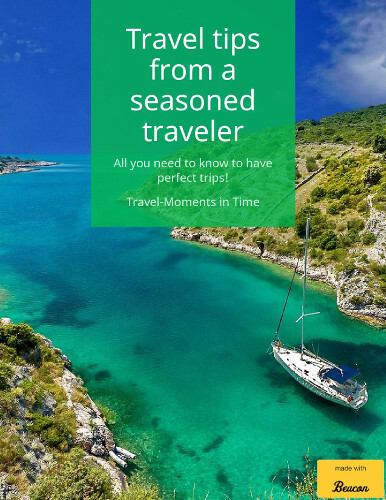 Continue to read and discover what to do on St. Nicholas Day, how this holiday is celebrated in Europe and across the world, and when and how to celebrate Saint Nicholas Day no matter your age or where you are! One of the most important things to know about Saint Nicholas is that he was an actual person. Nicholas of Myra, also known as Nicholas of Bari, officiated as a bishop in Greece in the 4th century – in the city of Myra in Asia Minor(modern-day Demre, Turkey). He died on December 6th, thus this is the date when Saint Nicholas Day is celebrated. The story of Saint Nicholas’ life was written centuries after his death, but there is a common thread of him being a very good person, helping those in need, and even performing miracles – calming a storm on the sea, and more. Among his most important accomplishments is saving three girls from being forced into prostitution by leaving a sack of gold coins to their father to serve as dowry for all three girls and, thus, being able to marry. He is also said to have left small gifts in the shoes of the children – this is how the most famous Saint Nicholas tradition was born. This is, in short, the St. Nicholas Day story. It’s a beautiful and inspiring one as it’s all about helping others, inspiring us to be better not for a day, but always. There are people saying that the Saint Nicholas Day history is actually the origin of Santa Claus in various countries worldwide. So when is Saint Nicholas’ Day celebrated? As mentioned above, Saint Nicholas Day is celebrated on December 6th in Western Christan countries. Saint Nicholas Day is celebrated on December 5th in The Netherlands and on December 19th in some Eastern Christian countries. However, depending on the country, you may find celebration starting as early as mid November! I’ve included below more details about these, grouped by countries, so keep reading to learn more about ways to celebrate St. Nicholas Day. One of the most fun activities on Saint Nicholas Day is to go, in the morning, and see what Saint Nicholas left for you in your shoes. I loved this moment when I was little! I would not want to go to sleep as I’d want to see Saint Nicholas. Now my son does the same thing! But my mom would tell me that he only comes to children who are asleep and, eventually, I’d fall asleep. As soon as I’d get up, I’d run down the hall to see what he had brought. And it was such a wonderful feeling to dig deeper in my little boots to see if there is one more candy or fruit stashed there! Now, as a parent, it’s my huge joy to think of what I’d put in Eric’s shoes and it’s my pleasure to watch him run downstairs and check his small boots for presents! 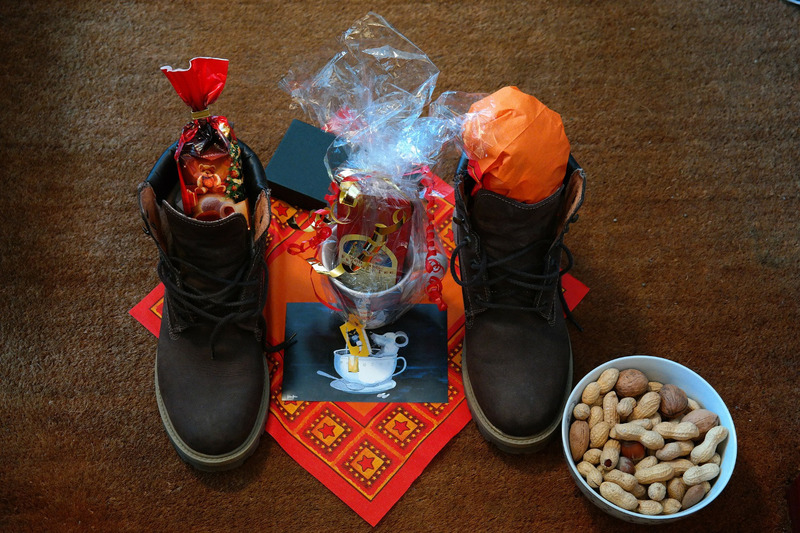 The most important Saint Nicholas Day tradition is that on the eve of St. Nicholas’ Day children leave their boots at the door hoping to be filled with gifts. So what does Saint Nick leave in shoes? The tradition, based on the Saint Nicholas Day history and on Saint Nick’s real behavior, says that kids should find in their boots treats – sweets -, oranges, mandarins, candies. It’s also said that children who misbehave will NOT receive gifts, but a stick. 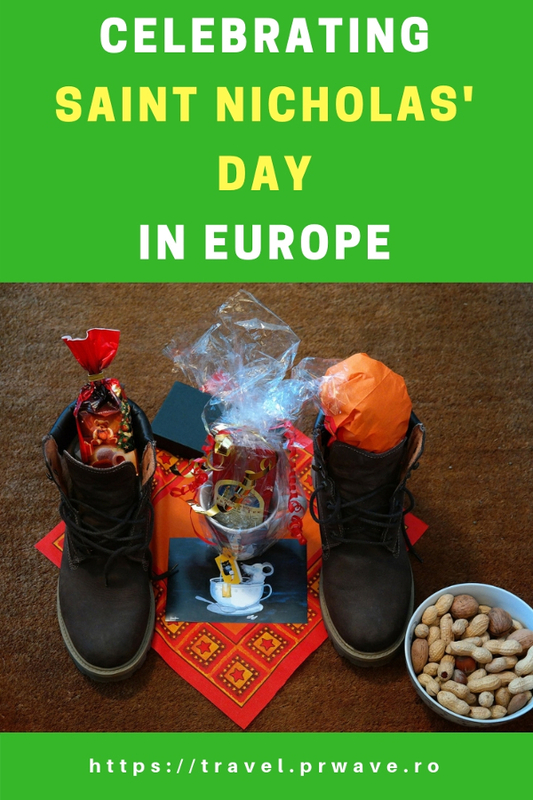 These are the common St. Nick Day traditions in Europe. However, nowadays, even children who misbehave receive gifts. More than that, people with more money and who are not too found of St Nicholas Day traditions, go beyond treats/sweets/fruits and put in their children’ boots other gifts (toys) as well. 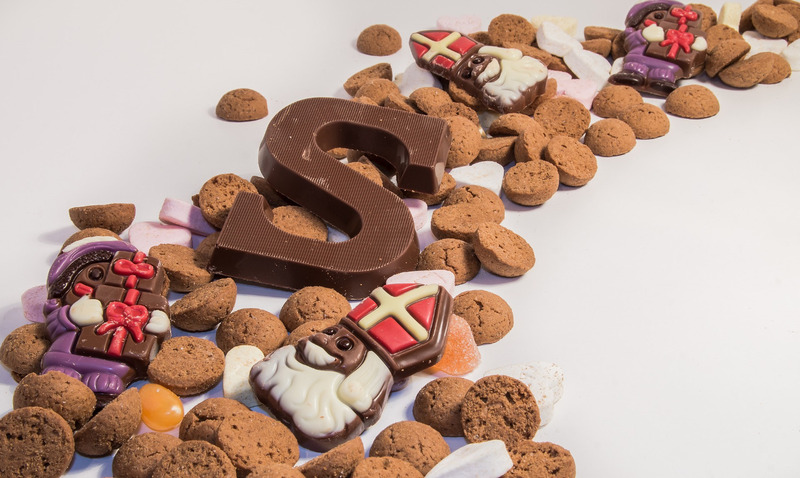 Sinterklaas is a legendary figure based on Saint Nicholas. 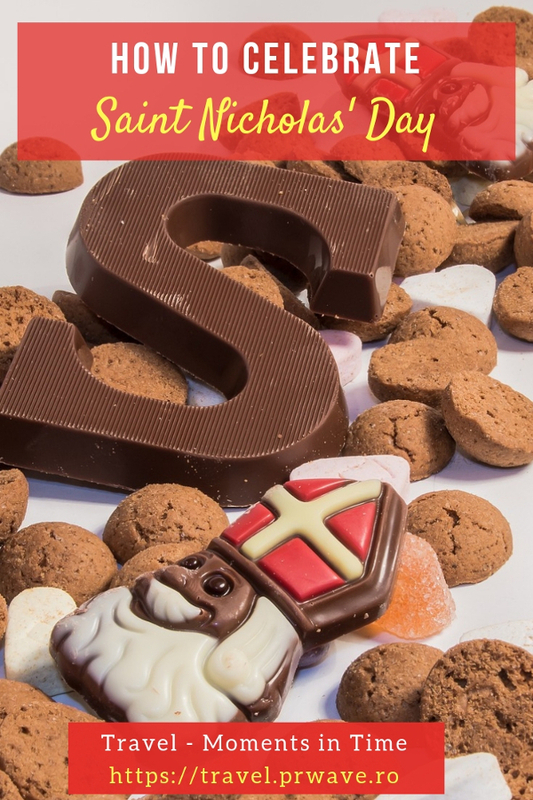 You can see Sinterklaas in action in The Netherlands, Belgium, and northern France. Sinterklaas is seen as an older man with long hair and beard – both white – who wears a red cape and has a ceremonial shepherd’s staff. He also is said to have a red book where there are notes about all the children and their behaviour. Sinterklaas rides on a horse named Amerigo in The Netherlands and Slecht Weer Vandaag, meaning “Bad Weather Today” in Belgium. As Sinterklaas is very popular in the Netherlands, he makes a great entrance. There’s an annual arrival Saint Nicholas Parade that marks the beginning of the festivities. Here unwedded women also receive gifts. This is based on the legend of the three sisters saved from prostitution by Saint Nicholas. There’s also a special mass in Italy for them in the morning of December 6th. It’s called Rito delle nubili: and the unmarried women who want to get wed have to turn around a column 7 times. Saint Nicholas Day is very popular in Germany. They have so many traditions and popular characters that I’ve dedicated a special chapter to this country. Children are motivated to behave by Krampus – an interesting figure who is said to travel alongside Saint Nicholas and leave coal for children who misbehave. Sometimes, it’s said that he kidnaps the naughty children in his sack! Krampus is a mystical figure – half-man, half-goat – with traits from demons and beasts as well. Krampus is popular in Germany, Austria, Hungary, Czech Republic, and Slovenia. In some countries, the Saint Nicholas Day feast is more important than anything else. The idea is similar to the Christmas day: spending time with the family around a table filled with goods. This definitely goes back to times where having a full table wasn’t something easy and it was truly a special moment: when the entire family would sit at the same table and have a great time. The Saint Nicholas Day food varies from country to country. In Germany you’ll find the famous German pancakes, in France there will be pork with mustard, pizza in other countries, as well as St. Nicholas-shaped cookies. As you can see, the spirit of Saint Nicholas Day is a wonderful one and celebrating this day is easy to no matter where you are or how old are you! 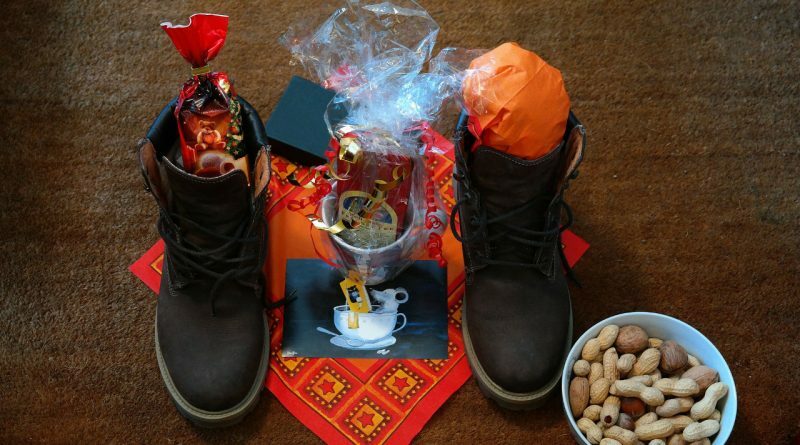 So, how can you celebrate St Nicholas day? surprise someone – a friend, a co-worker – with a gift – you may bring a box of candies at the office and make the atmosphere more cheerful! Check to see if there are communities in your area celebrating Saint Nicholas Day and find out, ahead of time, the planned activities – maybe you’ll like to take part in some of them. sweets – candy canes, cookies, bonbons, etc. fruits – especially oranges and mandarines. The Saint Nicholas Day tradition is a very beautiful one and I hope this article inspires you to celebrate St. Nick’s Day!